To share your success, please complete and submit this form. Make sure you report back to remain an active participant in the Oklahoma Green School Program. How many students were indirectly impacted by the program? What was the best aspect of the Oklahoma Green Schools Program for your students? What were some challenges you encountered while participating in the Oklahoma Green Schools Program? How can the Oklahoma Green Schools Committee have assisted you and helped you succeed? We love student feedback! Please have your students write a report, essay, letter or story about what they learned while participating in the program and mail or email those to us at PO Box 180, Oklahoma City, OK 73101-0180 or email at info@okgreenschools.org or upload files directly to Oklahoma Green Schools now. Please attach photos, videos, reports, artwork, powerpoints and any other items you feel will illustrate your students efforts and action project results. This can include a link to your school webpage if you have added a "Green" page. 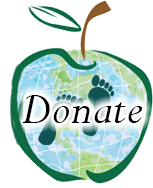 Please send items to OK Green Schools at PO Box 180, Oklahoma City, OK 73101-0180 or info@okgreenschools.org or you may upload one of your files here.